Packing: Inner Packing: Plastic film wrapping around the equipment. Outer Packing: Plywood wooden case. To send an exact quotation, we need to know the answers of the questions below. 1. What is your raw water/source water, can you provide us the water quality analysis report? 1 Raw Water Tank Water storage, ensure to continuously supply stable source water for the whole water system. Customers have to provide it yourselves to avoid increasing the freight cost. 2 Raw Water Pump Providing enough water pressure for the pretreatment filters. CNP brand or Grundfos brand pumps are available. 3 Mechanical Filter Using glass fiber reinforced plastic(FRP) or stainless steel as vessel housing, filling with quarts sand, to filter large particle impurities, colloid and suspended substances etc. 4 Activated Carbon Filtration Using glass fiber reinforced plastic(FRP) or stainless steel as vessel housing, filling with activated carbon, to filter the color, free chloride, organic matter, harmful matter etc. 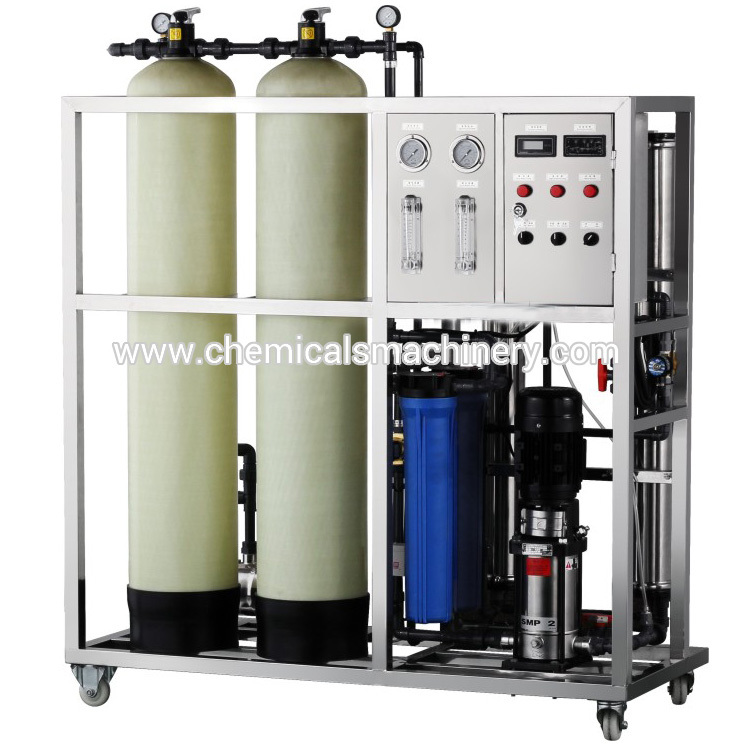 5 Water Softener Also called demineralizer, Na+ exchanger, softening water with cation resin, the cations of Ca2+, Mg2+(main composition of dirt) will be absorbed by the cation resin to reduce the hardness of source water. The system can regenerate the resin intelligently and recycle use. 6 Security Filter Also called PP sediment filter, to filter large particles, bacteria, viruses which accuracy is 5μm, prevent them go into the ro membrane. 7 High Pressure Pump Provide required working pressure for reverse osmosis system to ensure the pure water production capacity. CNP brand or Grundfos brand pumps are available. Providing the spare parts for free in the warranty time if something wrong with the machine. Response within 24 hours if any questions for the machine, 24 hours a day, 7 days a week. English instruction manual and videos for installing and operating machine would be provided.